A serious illness often can rock us to our very core, changing how we think about our loved ones and how we treat them. Even when it is over, everything we think and do is affected by the fear that it will happen again. 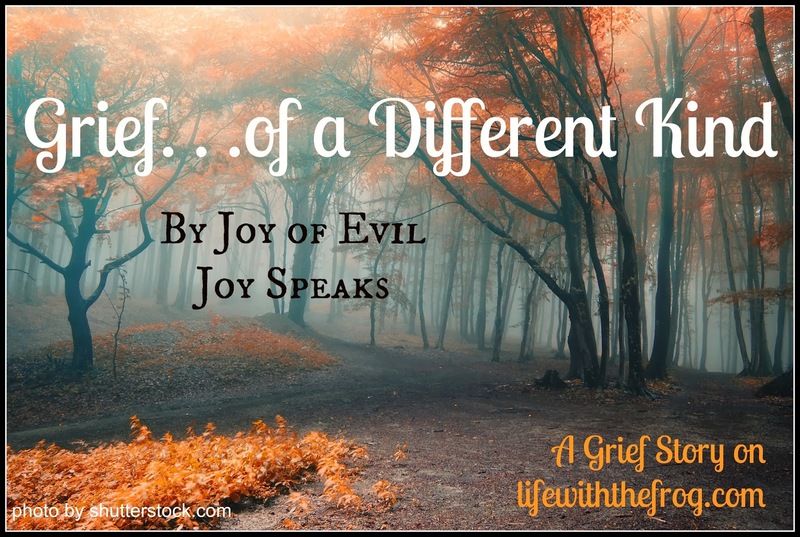 Today's contributor to Grief Stories is Joy from Evil Joy Speaks. Her blog was born out of her experience with her husband's serious illness, and I'm happy to have her sharing with us today. Life is weird. You're going along....married for almost 15 years, 4 kids, a house, and all the usual stuff that goes with life. Then in a matter of 24 hours your world radically shift and the truths you knew to be Absolutely True are now fables. Fairy tales. Dreams. It was a Saturday. Brent was supposed to go on travel and I was annoyed because we were having a 19-kid birthday party at our house. And he was leaving? But he didn't go. He called his boss and said he was sick. That never happened. In fact, he came home early on Friday for the first time in 14 years of employment due to not feeling well. We had the party. He was out for the count by clean up time. Neither of us slept well that night because he got up to use the bathroom about once an hour. We had no idea his kidneys were shutting down. He thought he had a bladder infection or something. Sunday I got up and did my thing. I went and cleaned a friend's house. He couldn't eat. I set him up in our bedroom with a cell phone, his work computer, and strict instructions for the children to check on him but not bother him. Sunday night...he got to bed. It took him 10 minutes to climb 9 stairs. His legs hurt so badly. He was trying to hold out until Monday to go to the doctor. Got him into bed with a cell phone. I was planning on sleeping on the couch with a cell phone. Ten minutes and the phone rang. "This is ridiculous. Take me to the hospital. No one should ever feel this way." Now I know people joke about the man cold and all that - but Brent - that's not him. He'll be half dead (and actually was) before he says, "ehhh...I'm okay. Not the greatest but I'm fine." So when he said that I flew - FLEW - into action. Got my neighbor over to sit with the kids. Brent was in complete kidney failure. He heart rate was 156. He was breathing really quickly but didn't even realize it. Fast forward 30 minutes. He made the weirdest comment to me. I mentioned it to the doctor. I was sort of giggling thinking he was feeling the effects of the pain meds. "There's this homeless lady hanging target bags on my cubicle." The doctor looked at me and said, "GET OUT." Less than 2 minutes later he told me to say what I wanted to say to my husband because they were going to induce coma because he was so critically ill. His white blood count was 60,000+ (normal is 4,500-10,000). He was in kidney, heart, and liver failure. He had staph pneumonia. They identified his leg pain as rhabdomyolysis. I went in bawling and said, "They're going to make you sleep now. I love you. What do you need?" He simply said, "I just want to be able to breathe. Oh - and I love you too." The longest 10 days of my life ensued. I simply sat by his side. Day and night. I didn't leave the floor of the hospital for 11 days. During this time many things happened. Relationships were changed forever. Words were said that can never be taken back. Friendships were forged with a new strength. I was broken in ways I didn't know possible. While he was 'asleep' I would wake up at the crack of dawn - if I slept. I stood up and told Brent "I love you." Then I would face the window and stretch. I would stretch until it hurt. And then stretch some more. As if causing myself pain would force him to wake up and get better. I would shower. Fast. In case there were changes. I used the shower in his room. Not sure I was supposed to, but I did it anyway. He wasn't using it. I only left the room for short periods of time when absolutely necessary. I lived on carrots and hummus and cottage cheese with pepper. I think that's all I ate for about a week. And gallons of Diet Coke and water. Each day I waited for Dr. Graven to come by. And Dr. Jodi - she was my savior. She knew I needed a certain type of person to communicate with. Please explain what's happening. Don't just tell me, "He's stable. That's the best we can hope for at this point." She became an ally in my mind. I know we were just patients; but to me, those two women in particular made this horror a little less horrific. They talked to me. And listened. Each day people would visit. Sometimes I welcomed them. But mostly, I was annoyed. They were invading my space. I had created this bubble world. When people came, they burst the bubble open and I was forced to experience the feelings I was suppressing. But I loved seeing my babies. Amy, my dear friend and a woman I consider a sister, brought my littlest daughter to me often while the others were in school. Evil Joy was born. I started making fun of the situation on Facebook. "Evil Joy is annoyed with non-functioning kidneys. When have I ever had a 22 day vacation?! Come on already!" It became my outlet and allowed a little of the hope I started to feel but was afraid to embrace come out. The days melted together. I continued to feel fractured mentally and physically. I sat with no television on, no radio playing, in silence, holding Brent's hand. Willing and praying, pleading and bargaining for him to get better. The Divine Secrets of a Domestic Diva was another savior. I stalked her blog. I emailed her asking her to pray for my husband. She emailed me back more than once. 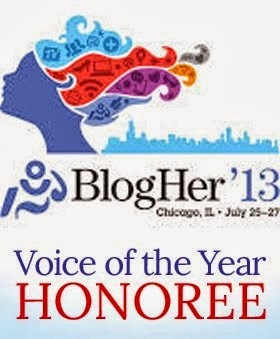 She had no idea the impact she had on me and how I clung to her words on her blog during that time. And I will forever be grateful. I lost my innocence. I lost that part of me that believed the princess fairytale and the part of me that knew we'd always be together - no matter what. Then, slowly, very, very slowly, Brent started to wake up. He was still intubated. He couldn't move. But he was getting better instead of worse. I didn't allow my broken-ness to show itself. I didn't have time for that. I had to get ready for Christmas. I had to cut down and get a Christmas tree without Brent. I had to take care of four children. I had to make sure the bills were paid. In reality, my friends and family took care of Christmas. I only had to put my kids to bed at night and wake them in the morning as we rushed out the door so I could drop them off so I could go to the hospital. Eventually over the next few weeks, we found a rhythm and routine. I started working out before going to the hospital for the day. I started eating lunch with friends who came to visit. I started walking around a bit more. Brent learned to walk again and was released well before we ever dreamed possible on Christmas Day 2011. And the healing started for me about six months later. I was still in crisis mode for a long time. I still am at times. I am struggling with PTSD. I can't see an ambulance without blinking back tears. I don't do well in hospitals and spend every minute of any cold he ends up with in terror. But I don't spend every second of his work trips worrying he's going to die. I get mad at him now and again. We go out on dates. We celebrated our 16th anniversary. We even ran a marathon together - a full marathon of 26.2 miles - in June of this year. Slowly, I'm finding my way back. You can connect with Joy on her blog, Facebook, Twitter, and Pinterest.